Son plafond Swiss painter; b. in Moscow on 23 June 1800. Student Acad. art. ; upon completion of the course went to their account in Rome. In 1834, for the painting "Death of Camilla", by the academician. In 1840 he graduated from the "Copper serpent", from 1845 fulfilled the image of St. Isaac's Cathedral. From 1855 to 1871 was rector of painting and sculpture; in 1866 was in charge of the Mosaic office. Mind. 1875 in St. Petersburg. Bruni has a lot of engraving strong vodka in a cardboard manner (Cartonstich), i.e., a penumbra. 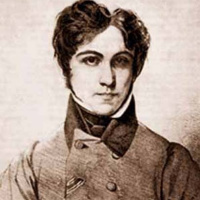 Fyodor Bruni (actually, his real name was Fidelio) was born 10 Jun 1799 in Milan, the son of a Swiss Italian, painter and restorer Antonio Bruni, who later, in 1807, came to Russia from Italy. Antonio Bruni in the reign of Paul I, was a restorer of paintings and painter of the ceiling. Are his work, executed in the Mikhailovsky Palace; later he was engaged in work in Moscow, by order of Prince Kurakin. Fedor at the age of ten, he enrolled in an Educational school at the Academy of fine arts, studied under the guidance of A. E. Egorov, A. I. Ivanov (senior), and V. K. Shebuev. For the first success of the young Bruni was awarded a silver medal, and in 1818 he graduated from the course and received the title of artist with the right to the rank of class XIV. His father, finding that art education nineteen Fidelio is still not decided, on the advice of Shebuev, to send his son for further improvement in painting in Italy. The study of exemplary works of ancient artists ultimately determine the direction of the young Fidelio, renamed in Russia in Fedora, like Brullo was named Briullov. Writing a few paintings, Bruni, has not attained 22 years of age, began for the first big picture ("Death of Camilla, sister of Horace"), which in 1824 was exhibited in the Capitol and brought its author considerable fame; in St Petersburg she appeared only 10 years later, for her Bruni was awarded the title of academician. * "The Savior is in heaven,"
* "The Annunciation" and the famous "agony in the garden" — painting in the Hermitage Museum and a few paintings and portraits. In addition, Bruni wrote copies of two frescos of Raphael: "the Expulsion of Iliodor from the temple of Jerusalem" and "Galatea". In the early thirties, the painter began writing enormous painting: "Moses Erecting the brazen serpent", but before he had time to finish, was summoned from Rome to St. Petersburg to work in St. Isaac's Cathedral and teaching at the Academy of fine arts. He arrived in Petersburg in 1836, wrote for two years a few images and put together for the altar of the Kazan Cathedral the big picture-the image of the "Holy virgin". From 1836 Bruni — Professor of the 2nd degree in the Academy of fine arts. In 1838 he found it possible to return to Rome, and wrote a "Cover" and graduated in 1840, his great poem "the brazen serpent", which was produced in Rome an unusually strong impression. The following year, this painting was transported to St. Petersburg and exhibited in one of the halls of the Winter Palace. All printed reviews of the time about this picture were filled with almost boundless praise on this piece, really wonderful composition and location of groups, typicality and expression of the figures and faces, in General colouring, though not brilliant, but the relevant content of the terrible biblical events. In this picture of Bruni showed in full force all of its deep, academic knowledge of drawing. In the Russian Museum "brazen serpent" near the painting by K. Briullov "the Last days of Pompeii".